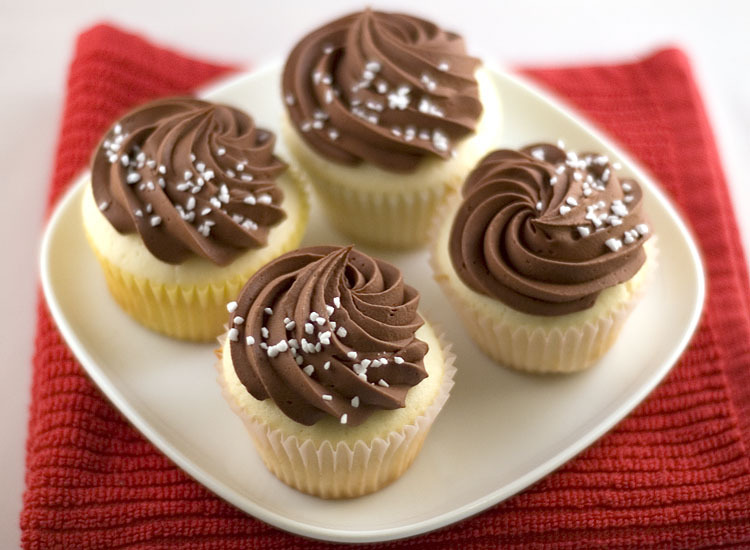 Cupcakes continue to remain popular over the years. Small cakes with a little lot of frosting in various flavor combinations will always be a hit with young and old alike. 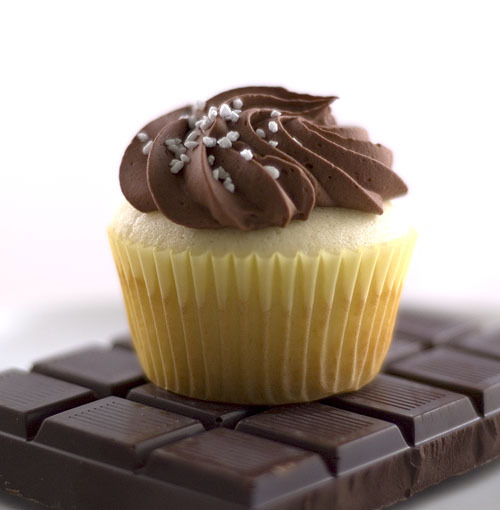 While American-style desserts aren’t my specialty, everyone needs to have a go-to cupcake recipe. I found this White Velvet recipe from an old post on Curious Cupcakes. Like most cupcake recipes, it’s super simple, there are a few ingredients, and they cook real quick. I’ve already made these several times and every time I make them they come out fantastic. If you’re still making cupcakes from a box, you really should try these out! In a medium bowl, combine egg whites, vanilla and 1/8 cup milk. In a large mixing bowl, combine cake flour, sugar, baking powder and salt and mix together to blend. Add the butter and remaining 1/2 cup milk. Mix on low speed until dry ingredients are moistened. Increase to medium speed (high if using a hand mixer) for 1.5 minutes. Then add the egg, vanilla and milk mixture in three equal parts, beating for 20 seconds between additions. Hi, are you able to do a tutorial/video on how you pipe such big rosette on the cupcake? I’ve watched the video which you posted up the link and tried piping it but I’m nowhere near. Wei-Wei: That’s an Atecco #6 Open Star Tip. I learned to pipe rosettes in pastry school years ago so it’s pretty much second nature to me now. Keep practicing, they’ll get better eventually! Your cupcakes are so beautiful! Can I ask what piping tip you used and how you piped the swirl on? The frosting is absolutely impeccable.